Over 200 2377-22 multiple choice exam questions. One month minimum, cancel any time. All you need to know to practice for the City & Guilds 2377-22 exam. PAT Testing can be a profitable part of an electrician’s business. Alternatively general building services contractors can gain the PAT 2377 Qualification without qualifying as an electrician. 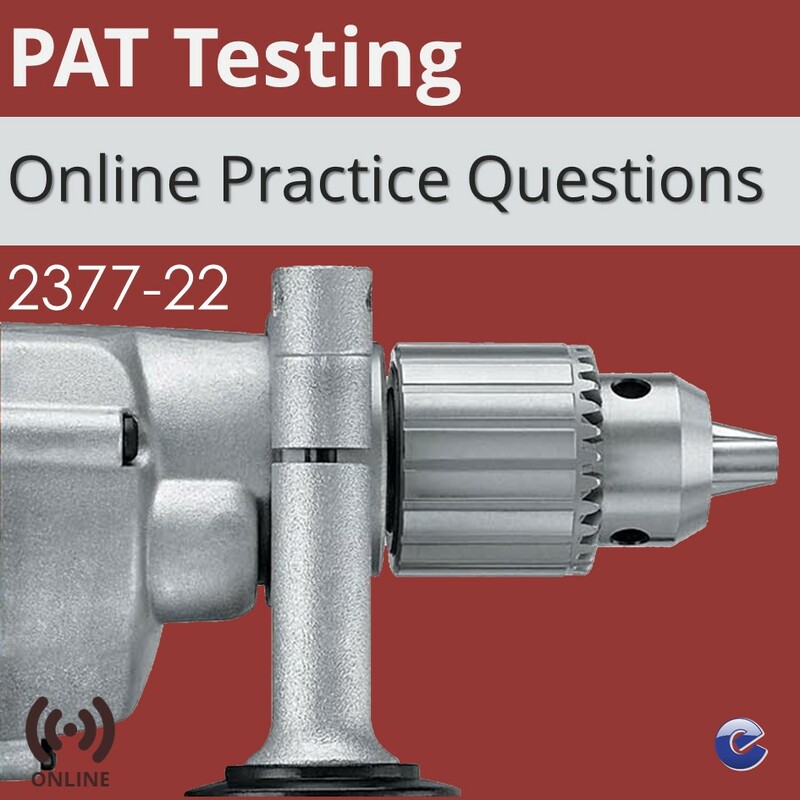 The 2377-22 PAT Testing Online Practice is designed to support candidates as they prepare for the City & Guilds 2377-22 exam. The online practice is up to date to the 4th Edition of the IET Code of Practice for In-service Inspection and Testing of Electrical Equipment. The Electacourse 2377-22 PAT Testing Online Practice is stuffed with features to help you prepare for the City & Guilds 2377-22 exam. Anyone thinking of starting out as a PAT Tester. Anyone who is already taking a PAT Testing course and needs to be sure they will pass the PAT Testing 2377 Exam.